This recording employs a system of just intonation based on the ratios 5/5 6/5 7/5 8/5 and 9/5 for sound systhesis. Eight metal and wooden plates are used to combine these electronic signals with each plate's own natural vibrational modes. 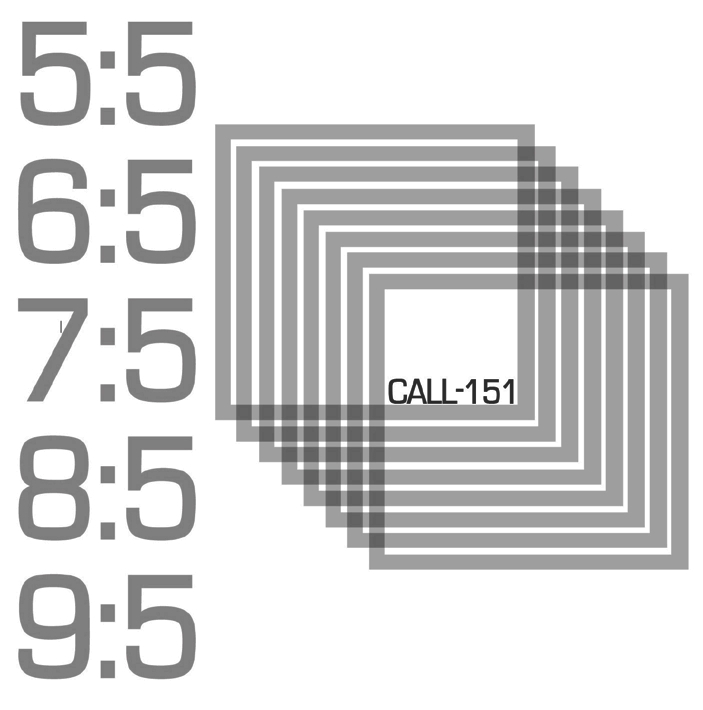 CALL-151 is an electronic music ensemble comprised of Ted Apel, Patrick Benolkin, Hope Hampton, and Edward Stumpp. Listen to Track 1 of the 6 tracks of "5:5 6:5 7:5 8:5 9:5". This limited to 100 edition CD-R is available for purchase for $15.00 including shipping. Payment by Paypal only. Click below to purchase.